UnhappyThief (Vor 10 Monaten) #35914947Mexican miniatures ? Sounds exciting , got any pictures ? Also, congrats on getting that re ment set, is surely one of the better ones. Sorry for the big delay! busy busy life, but I did take some pictures since that day, heh. Some eggs, bread, plates, and jugs/vases. These are the more realistic-lookin' ones imo, but there doesn't seem to be a scale to them. Ahh, and I just realized I included nothing for size reference. The metal plates are probably a little bigger than a thumbnail, if that helps. I'm particularly fond of the blue vases because I like that design style! The paint job seems tiny and intricate too; a little less so on the other plates. Bonus "detail" shot without the bread! This is the other stuff I have. The mugs are more rough, not sure why (the small ones make more sense since this is all handmade). Some more food; a sope, fruit, more bread. But I thought it looked a little less "real". Kept the metal plates there just to put stuff on. I like the look of the tortillas in the picture, but in actuality they're too puffy to look like the real thing. Looking at them though, the baskets look fine. Just sticking out a little bit where the straw ends, maybe, but that can always be cut off. And a bonus final picture! Because this is, of course, sitting near my miniature things. 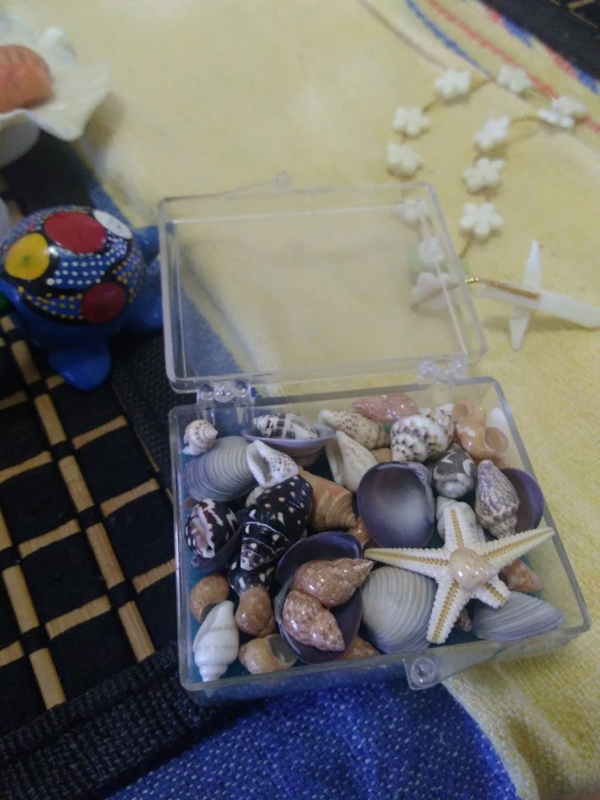 You can probably find these small shells at about any touristy beach spot, and I only thought of this while digging through my stuff but their scale is probably good for small figures or dolls (maybe not the clam shells; mostly the smaller snail shells). While I dont intend to proactively collect them, I want a couple because I'm drafting some ideas for comic strip styles pictures. It'd look a little plain if I just had a simple background, and I really dont want to take the Toy Stort route of using real life objects for my figures to use. UnhappyThief (Vor 10 Monaten) #35914907I feel like Etsy is inflating prices, most things on Etsy (not including handmade/retro items) you can find on Chinese online shops such as Aliexpress for real cheap prices, feel free to correct me if I’m wrong. oh i meant shops that custom make them! for example, i want a 1/6 pizza slice for my most recent doll, but i specifically want margherita pizza, and i cant find it any where. i order a custom made margherita mini slice on etsy. so i go to etsy for my really specific needs. 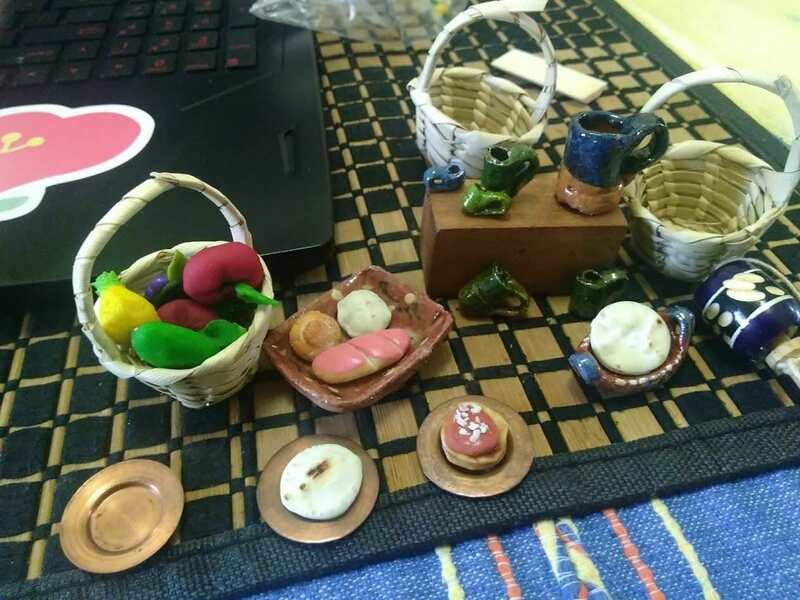 Id love to collect more miniatures, preffrably the 1/12 kind, altho i really want the ITEM #254796 of the ENTRY #72936 but their so damn hard to find! i only find PS1s forsale. and i really want to use my own screenshots from my ps4! id also go for the nintendo history if possible, but im more keen looking for modern consoles.. hoping a new console gacha appears or re-releases. I do have some miniatures, both re-ment and just random ones bought. I love miniatures, but don't have too many. I would definitely like to get more in the future, especially Japanese themed. I recently managed to get my hands on all three of the Sailor Moon Re-Ment sets, I was pretty happy as the senshi school days set (not sure if that's the exact name, but it's something along those lines) has kind of gotten rare. I also got a cute little set recently off HLJ on sale...I guess it's kind of a diorama with a cat? Definitely mini-sized but I'm not sure of the scale (hasn't arrived yet). I love those chairs! Another member kindly let us know there was a re-release of some of them a few months ago, so I picked up two. They were really popular and sold out fast on all the usual sites. I'd like to get some gashapon sets sometime, they seem like great value for money. I think there's at least one art set? I'd like to get that for my Sailor Neptune S.H. Figuarts. A peculiar bunch indeed. Good luck with your search! Marsharoo (Vor 10 Monaten) #35912861Haha, I love miniatures but I only know about re-ment. I recently grabbed the full Seishun Days box during eBay's Father's Day sale. The dream is to just... have a dollhouse sometime. 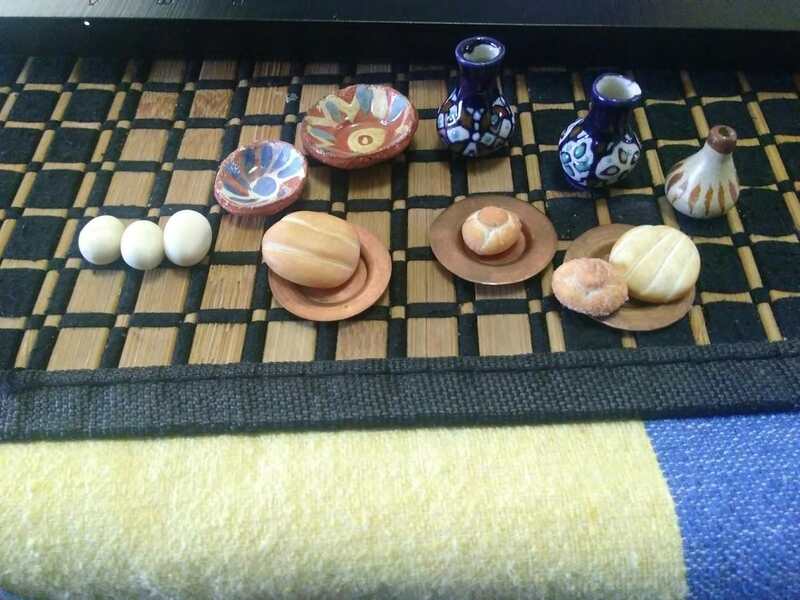 Mexican miniatures ? Sounds exciting , got any pictures ? debinoresu (Vor 10 Monaten) #35914318ive been looking for 1/6 accessories and mainly checking etsy. theres a lot of great miniatures there. 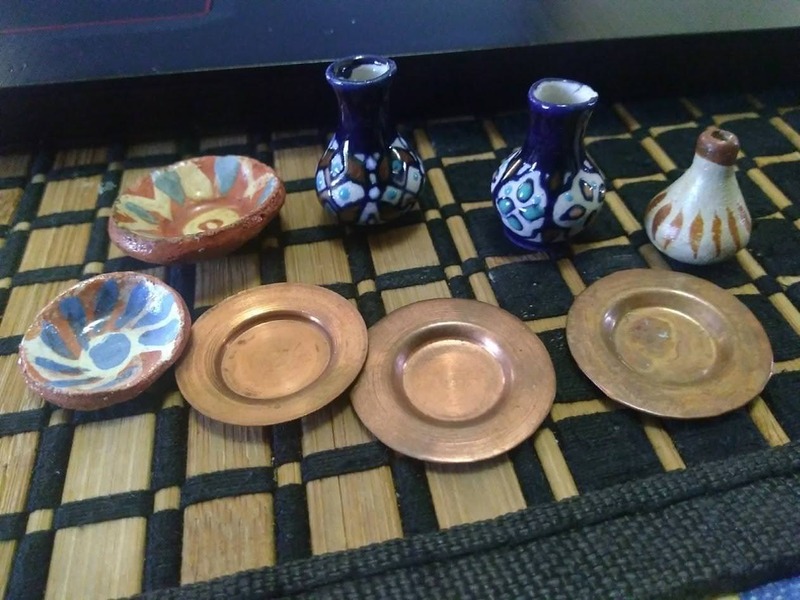 I feel like Etsy is inflating prices, most things on Etsy (not including handmade/retro items) you can find on Chinese online shops such as Aliexpress for real cheap prices, feel free to correct me if I’m wrong. ive been looking for 1/6 accessories and mainly checking etsy. theres a lot of great miniatures there. Haha, I love miniatures but I only know about re-ment. I recently grabbed the full Seishun Days box during eBay's Father's Day sale.